Thank you for visiting our page http://www.metroprague.com This page aims to provide you with the information about Prague Metro and help you with understanding Prague public transport in general. You will find many useful tips and tricks, information about individual metro stations or when the metro system is out of service. We will also update the page with any news regarding the Prague public transport system. He hope you will find the information useful. Metro. Everyone has heard of it. 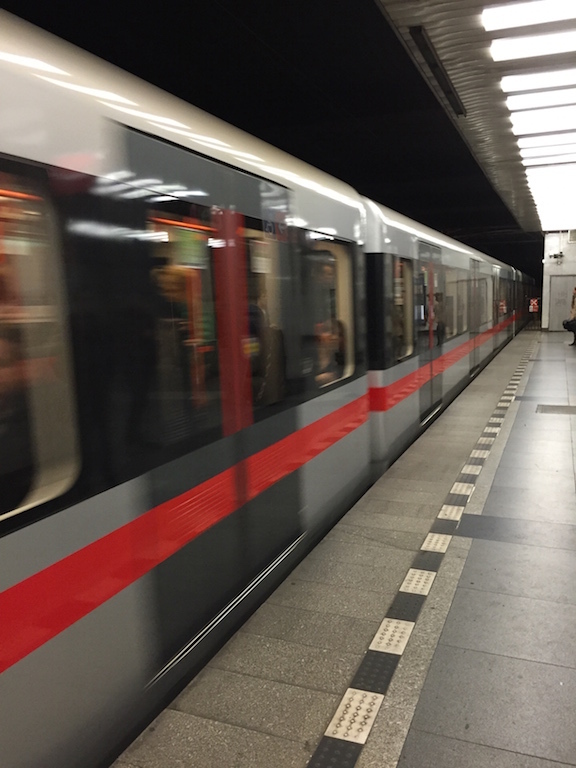 The underground train which provides transportation to hundreds of millions of people each year is maybe the most famous mean of transportation in Czech republic, although it only operates in the capital of Prague. It is also the most busiest. Every day, it services about 1.6 million people on its 3 lines which run for a total of 65 kilometres. There are 61 stations from which 3 of them serve as an interchange points between the lines. Lines are mainly built underground and in several cases also run under the river Vltava. Parts of the line C are however built to operate above ground. The metro system was built in the socialist era with the aim to ensure the biggest transport capacity possible. Nowadays, as the population of Prague continues to rise, it turned out to be a very smart move. Here you can find all the fares, including pre-paid time tickets. How big is the headway? If you are interested in timetables for individual lines, please visit these pages: Line A, Line B, Line C.
The suburban zone is further divided into 7 sub zones marked from 1 to 7, depending on their distance from the center of the city with 7 being the most distant. Comfortable access to all stations for everybody? That is how it should be and therefore the accessibility of the station keeps improving. As of now, 38 stations are accessible to people with disabilities. Somewhere, the process is quite slow, because it just simply was not thought of, when the stations were being built. How do you tell, if the station provides a wheelchair access? It is very simple. There is a symbol with a wheelchair to be found in every station providing this access. You can also find all these stations on this map – here. 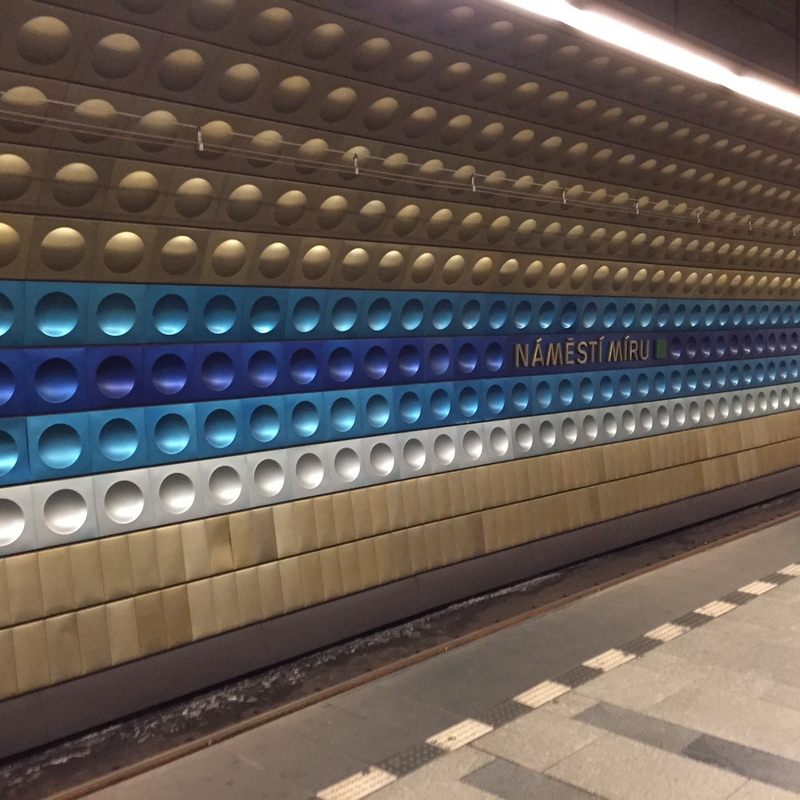 Many of you may be wondering, how Prague metro will continue to develop. Last year, Line A was extended and new stations were added to the system. These are Bořislavka, Nádraží Veleslavín, Petřiny and Nemocnice Motol. Make a reservation for your stay in Prague! Would you like to have a stylish and at the same time comfortable accommodation? The best way how to get to know the local culture and to find new friends is through Airbnb. Every time we travel to a new country we use this kind of accommodation. Therefore, we can truly recommend it! Moreover, we have provided a discount of 35$ for your first stay – it is a worth a try, isn’t it? Free credit – 35$ for your first accommodation! Do you prefer the hotels? Would you rather stay in a pretty apartment or a hotel, where you have all-inclusive services? Especially for you we’ve prepared unique discount. On every booking of your accommodation you can get 10% off the final price. So, don’t hesitate to take advantage of this promotion! Metro is of a soviet design, and is built to have the biggest transit capacity possible. The longest escalator can be found in the Náměstí Míru station and is 87.2 meters long. Náměstí Míru is also the deepest built station, being in the depth of 53 meters. In the year 2013, the metro system transported a total of 584 million passengers. That is roughly 1.6 million a day. Total length of an entire system is 65.2 kilometres. The shortest distance, on the other hand, is between stations Muzeum and Hlavní nádraží and is only 425 metres. Have you got any questions? Would you like to advertise on our page? Please use this contact form.